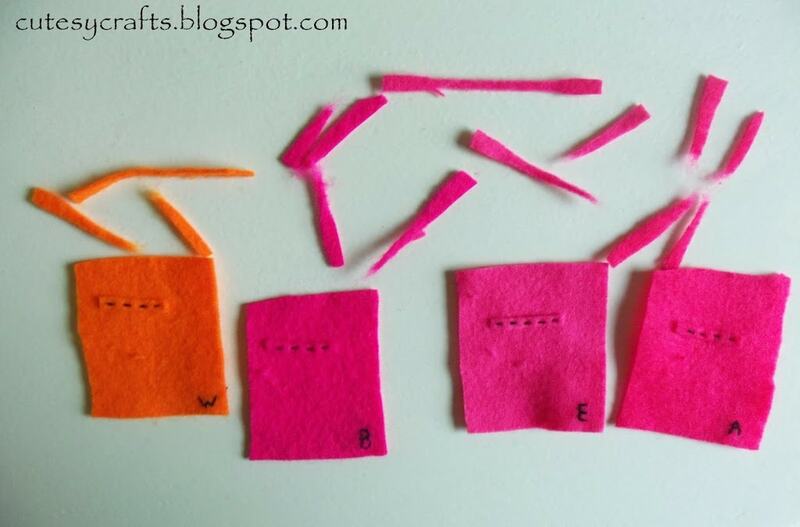 If you haven’t noticed, I have a lot of felt crafts on my blog. I really love felt. So far, I’ve just been using acrylic felt from the craft store because it’s cheap, and honestly I didn’t know very much about the different types of felt. Acrylic is fine to use for things that won’t be touched much, but for toys or things that are going to be shoved into the bottom of a dress up bin, I wanted to find a better option. Everything I’ve made is still holding up just fine, but I hate the way that the felt pills or fuzzes when it’s handled a lot. I got several different types of felt to play around with so I could decide what kind I liked the most. I tried out a 100% wool, a wool/rayon blend, a polyester “eco” felt made from recycled plastic, and just the craft store acrylic (also made from plastic) to compare. I took each of my felt samples, embroidered on them, cut them, pulled them, rubbed them, and crumpled them. And no, I was not being very scientific when I did my “tests,” but the results were still telling. You can’t really see much in the photos, but I’ll explain what I found. In the end, all of them pilled (fuzzed). Surprisingly the wool/rayon blend seemed to pill the least. The acrylic, as expected, pilled the most. When I tested their strength by cutting off strips and pulling, the 100% wool performed the best, the acrylic was the worst, the polyester and the wool/rayon blend were about the same in the middle. I wanted to take into account not only the durability, but also the cost of the felt. Although 100% wool is very nice and supposed to be the best, it’s super expensive. Not really worth the cost since other options seemed fine to me. Just my opinion of course. The polyester felt is definitely a lot nicer than the acrylic, and I do like that it’s made from recycled plastic. The price is really great too. In the end, however, I decided that I like the wool/rayon blend made by National Nonwovens the best. There’s something about the wool felt that gives it a warm, not shiny, feeling. I also really love that it is manufactured right here in the USA. I like that I’m supporting a US based company. It’s reasonably priced, and they have some really beautiful colors to choose from. The deciding factor for me was the way the fabric pilled the least when I handled it a lot. 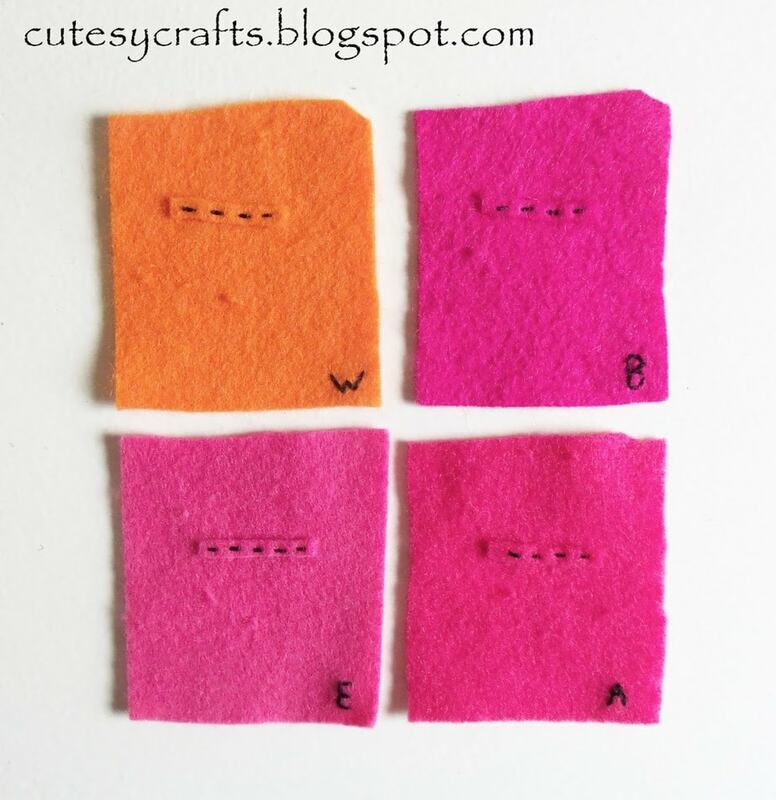 I’ve been using it to make all of the felt crafts on my blog, and I love it. I wrote this post, not because I want to advertise a product to you, but because I really want you to know that there are other options out there besides the craft store. I am not currently affiliated with National Nonwovens, although I would love to be! To see all of the colors laid out, I recommend going to the manufacturer’s website here. I really LOVE this product, and I will be using it for a lot (if not all) of my felt crafts from here on out. Hope this helps someone out there! Joann’s usually has a VERY limited selection of colors of this brand (mostly primary colors and earth tones). Go straight to the manufacturer’s website to buy large quantities at wholesale prices. National Nonwoven’s online store, commonwealthfelt.com, lets you buy smaller quantities. Sometimes I order from Prairie Point Junction. They have great customer service and you can order as much or as little as you like. 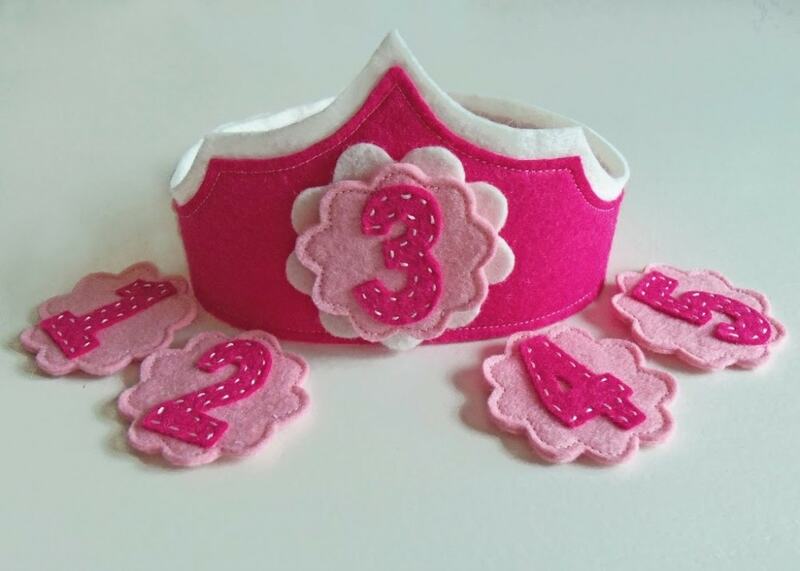 There are a few sellers on Etsy who are selling National Nonwoven’s felt. Type the name in the search bar to find them. I always like to support fellow Etsy sellers!-Joann’s usually has a VERY limited selection of colors of this brand (mostly earth tones). Great post. I’ve been considering breaking down and buying some wool felt, but now I’m thinking of trying a blend instead. Thanks Rebekah. Yeah, wool is definitely the best quality, but for the price, I’ll take the blend. I love it. It’s so soft, and I love the colors. It looks like the website offers several different blends. Do you use the 50/50 blend? Oh, good question! I use the 20/80 or 35/65 the most. I’ve also tried their xotic bamboo felt and been happy with it. It’s a nice alternative for those who might have a wool allergy. Love love love National Nonwovens felt blend. Beem using it for a couple years now and won’t go back to anything else. I also have some of the bamboo and its soo soft and cuddly. Would be great for childrens toys . Yes, I tried a little sample of the bamboo too. I love it! It would be especially great for anyone with a wool allergy. I’ve bee using National Nonwovens wool felt for years and LOVE it. It took a while to get to know how each blend would react to washing and I experimented with different heat temps for washing, etc. The amount of color choices is amazing and the customer service with questions, etc. is tops! Great company to deal with. For artist that want to do traditional & new designs with a wool blend…this product is not only affordable but the best alternative to 100% wool fabric. As a fabric artist….I recommend it! Yes! I was so happy when I found it! I can’t stand to use anything else now. And yes, I love the company too. Great all around! Yes, I think it would work on acrylic felt. I haven’t tried it yet, but I don’t see why it wouldn’t. You just have to be really careful with the ironing part. You can iron it, but don’t keep it on too long since it can melt. I definitely suggest protecting your iron and ironing board with some fabric or a parchment paper. I’ve seen felt sheets at the craft store that are already stiffened, so that might be a way to go too, if it doesn’t cost too much. I’ve never tried the industrial felt, sorry. For making the sides decorative, you might try a pretty paper punch or a manual die cutting machine if you have one. That is, if the laser-cutter doesn’t work. Thank you again Jessica, I’ll try it all and let you know. The internet’s brilliant isn’t it? Just wondering how you order your felt. Do you order the bundles, by the yard or by the piece? Thanks! It depends on what I’m making. If I need a large piece, I order by the yard. If I just need a small amount, I usually order the sheets. I’ve never bought a bundle, just because I like to choose specific colors. It would be a nice way to get a stash going though.